Jude has wanted to learn a foreign language for a few years now. We tried French, but it was impossible for him. The biggest issue was that it's definitely not a phonetic language. There were too many "can't-sound-out" letter combinations that it left him frustrated and dejected. After watching Matthew study Latin, both he and Damien thought that might be interesting. After all, if it was good enough for big brother, then why not them? Prima Latina is Memoria Press' absolute entry-level Latin course. It's geared for students in first through fourth grade, which made it not-too-hard for Damien (he's just finishing first grade) but also not too simple or babyish for finishing-fourth-grade Jude. 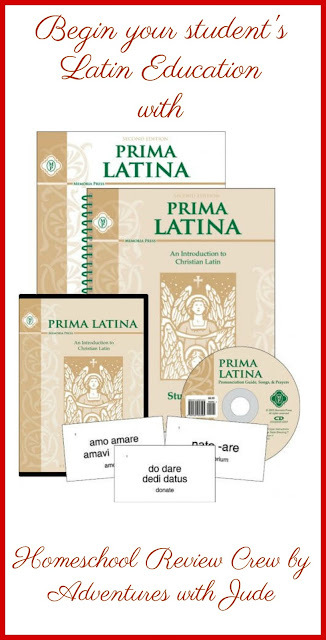 We received a Prima Latina Complete Set to review, which includes a consumable spiral-bound Student Book, a Teacher Manual, DVD instruction, and an audio CD of Latin hymns. The set also contains a set of Latina Christiana I flashcards. Why learn Latin? Isn't it a "dead" language? Well, for starters, it's a phonetic language, and both the sounds and alphabet are very close to what the boys are used to. There are a few changes, but it wasn't a "learn a whole new way of speaking" thing. 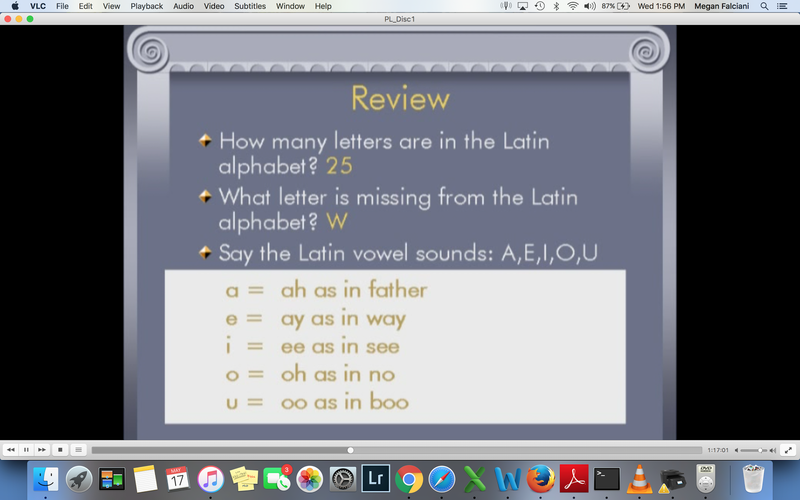 Most of the time, it's them needing to be aware of the differences between English and Latin vowels (where "e" makes an "ay" sound, rather than "eh"). There are a few different consonant sounds, but again, it's more a matter of being mindful than having to learn a whole new phonemic grouping. Jude sometimes struggles to recreate sounds that he hears; often he doesn't process the sound correctly, and what goes in isn't always what comes back out. 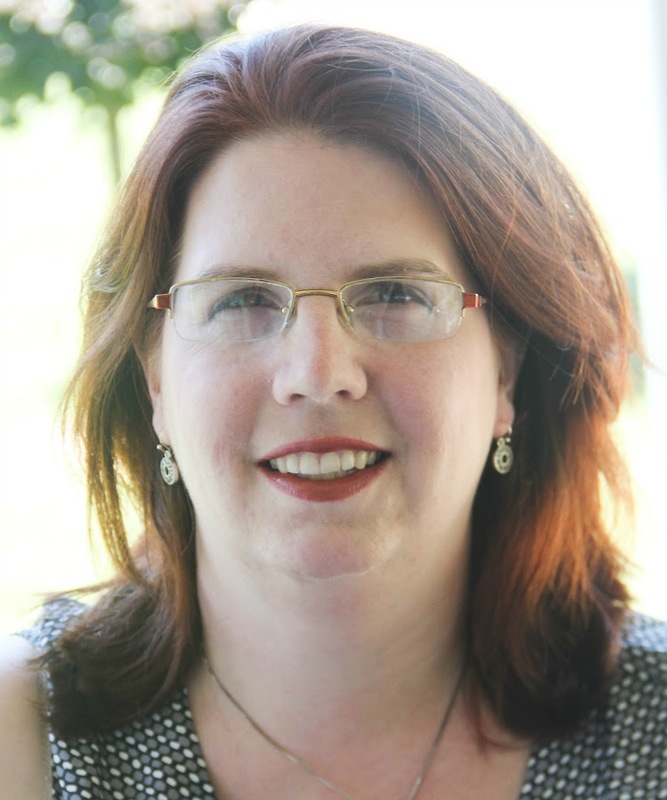 Leigh Lowe, the magistra teaching from the DVD, speaks carefully and enunciates sounds slowly and thoroughly, making it easy for him to process. However, be aware that she does have a very pronounced US South accent. Damien, who has always had a good ear for accents, now also speaks Latin with a bit of a twang. Each lesson is between 15 and 20 minutes long, which is a perfect time for this age/level. It's long enough that the boys feel they've actually learned something by the end, but it doesn't go on for so long that it becomes overwhelming. There are four pages within the student workbook for each lesson: two are "follow along" pages for the video, and then two are practice pages to be completed after the lesson is completed. Memoria Press is a classical-style curriculum, and I have become very impressed with how well the boys have done with this style of learning. Structured lessons and repetition seem to work well for them, and Prima Latina follows a very set routine. After the first lesson (where students are taught a simple greeting), each lesson begins with "Salvete!" or "Hello!" and ends with "Valete!" (Goodbye!). 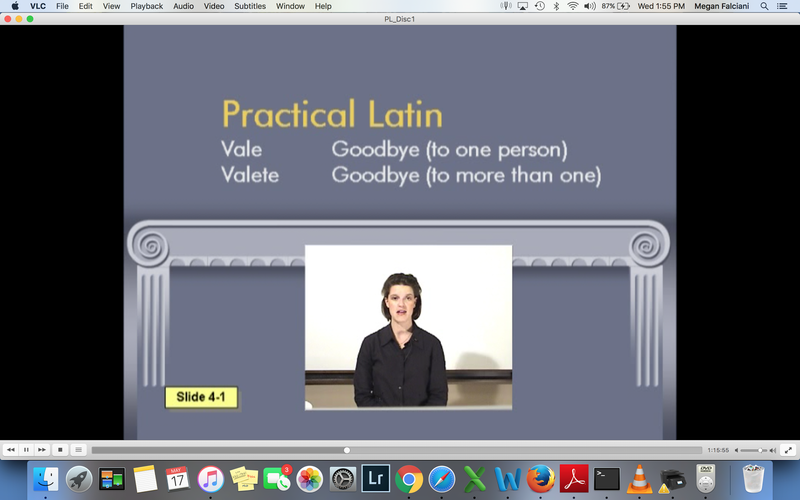 Following the greeting are words to create simple phrases (Salve, Magistra -- "Hello, Teacher! ", etc.). As lessons go on, there is an interactive section, where Mrs. Lowe will greet her class with "Salvete, discipuli!" and then she pauses for the students to reply "Salve, Magistra!" Jude prefers to compartmentalize his schoolwork for during school, while Damien now greets even the checkout clerk with a cheerful "Salve!" Neal and I went out to dinner one night, and he waved us off with, "Vale, magister! Vale, magistra! Valete, parents!" Next comes a brief review of what was taught in the prior lesson(s). This is a hallmark of a classical education - revisiting and repeating until you can't help but have it all in your head. (It's not unlike being able to sing a pop song from your high school days after twenty years have passed -- you've heard and repeated it so often that it's just permanently etched into your brain.) The repetition of key things helps a student remember them long after they first learned them. The new material starts with a short grammar lesson. I think that while this program is listed for students as young as first grade, I think waiting until Damien was closer to a grade-two level has helped. I think having had a year of English grammar has helped him understand when learning verbs; to learn both the vocabulary and grammar simultaneously might be a bit overwhelming. He's very clear on what is a verb vs. what is a noun, etc., so when Mrs. Lowe talks about "invisible" verbs, he understands the difference between types of verbs rather than still trying to figure out that a verb is an action word. As we get further into grammar, I think having a good foundation of English grammar will help the boys not feel so overwhelmed as they are expected to understand more of Latin's conventions. Next, new vocabulary words are introduced. There are five words in each lesson. 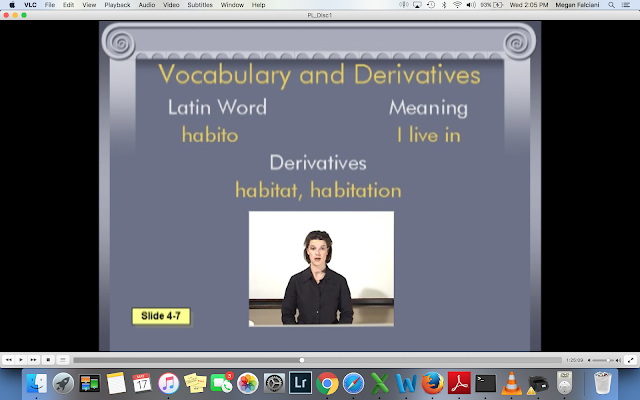 This section of the lesson focuses on learning the Latin and English words, and then the English derivatives that a student might know. Here is my second reason for opting for Latin over a language like Spanish, which is also phonetically spoken. Latin is the base for a large number of English words. Prima Latina shows this from the very beginning of the program. Mrs. Lowe leads the students in discovering these words, and finding their Latin roots within them. I have very few overall complaints with this program, but I want to point out that there may be a few derivatives that aren't pre-printed in the book. In theory, this isn't a big deal; you can see we just added them to the list. However, if you have a student who thrives on routine and everything being just so...well, be prepared for moments of slight panic and re-focusing. I also wish the derivatives were not printed after the Prayers. Again, for students who like to follow things in order, having to jump over the Prayer for the derivatives was another "Oh no!" moment. After a few lessons, the boys usually relaxed, knowing they weren't missing anything, but every time they remind each other "Don't forget, we'll go back!" The final section of each lesson is the Prayer. Each lesson, a new line was introduced, allowing the student to learn a line and practice with it between lessons before adding the next, rather than feeling overwhelmed by a huge amount of memorization all at one time. I was definitely impressed by their skills! They've since learned the remaining lines of the Sanctus, but I'm impressed at how much they had memorized and how good their pronunciation was only about three weeks into the course. The next two workbook pages are completed without the video. They provide a short review of prior lessons and practice with the current words. I'm pleasantly surprised and impressed with Prima Latina. When Luke first wanted to learn Latin a few years ago, I purchased the First Form Latin set, and it just didn't seem to click. We went on to use a different program, which Matthew later used as well. I admit that after the French disaster, I was a little gun-shy. However, I think this has been the perfect pace for the little boys -- and maybe even a good review for Matthew. I've noticed him listening in as well from time to time. We had a quiz-bowl style vocabulary study session recently, and there were a few times where Matthew couldn't resist chiming in. (I think I've hit on a way to get Jude to focus. He was struggling to remember when I was quizzing him from the list, but as soon as I pulled out a bag of pennies to use as point chips, he suddenly was remembering things at lightning speed, including random words from in the middle of the Sanctus!) 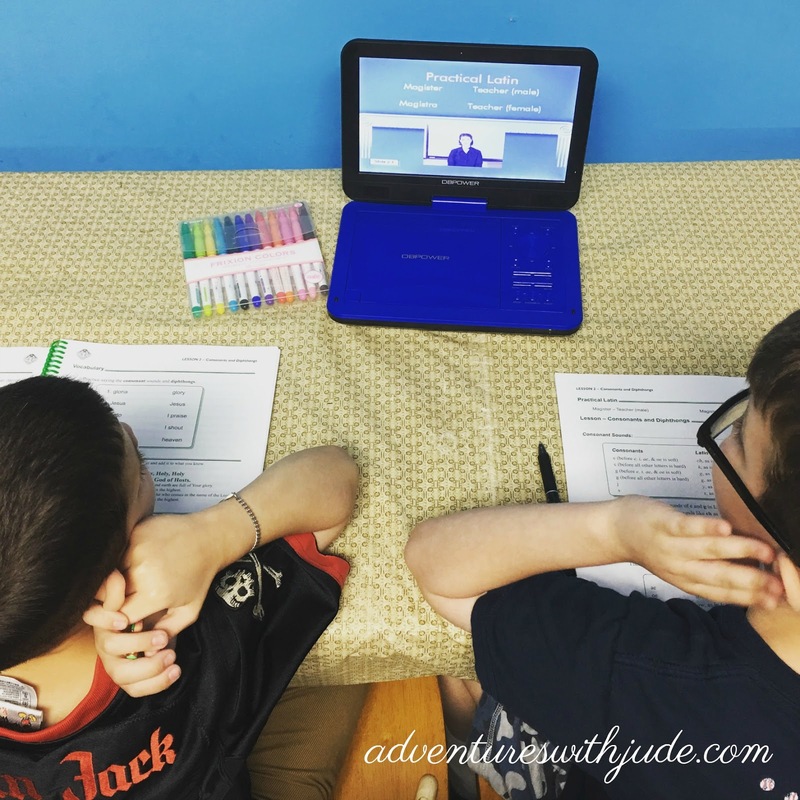 Often when we review products, the boys' interest fades over time, but they are still as excited now as they were when we started a few months ago. 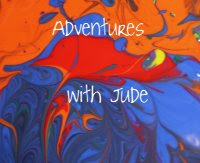 This is a program we are planning to continue with until the end, and maybe into the next levels! Click the banner below to read their reviews.